Happy New Year! Here's hoping this upcoming year is a great one for all of you. As I was looking through the science fiction and fantasy movie offerings for this upcoming year, I wasn't tremendously excited. There are some sequels and a few remakes, but few films that just jumped out at me. 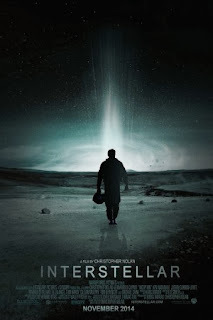 It's amazing how little the trailer shows of Interstellar, and yet how much it makes me want to see the movie. I'll have to wait a while, though--Interstellar is due for release in November. What are you excited to see in 2014? Let us know in the comments!